Home > Diet & Nutrition > What’s the Ketogenic Diet? Many diets have been written about avidly and scrutinized. The ketogenic diet is no exception. This diet, first introduced to treat severe cases of epilepsy in children, has been around for decades. After the advent of medications to treat this terrible condition, the diet fell out of favor. It did, however, become more important later as a method of helping people lose weight and decrease their risk of cardiovascular disease. The ketogenic diet is a diet that’s high in fat, moderate in protein, and very low in carbohydrates. The diet is very strict, as the types and amounts of foods you can eat are tightly controlled. The goal of the ketogenic diet is to change your physiology to the point where your body begins to burn fat as an energy source as opposed to burning glucose. The key is to keep your carbohydrate consumption very low (less than 30 grams per day) and to consume fats from avocadoes, olive oil, oily fish, nuts, seeds, and lean proteins. By adhering to this nutritional regimen, you can train your body to use fat as a source of energy rather than glucose. The result is that you can train your body to burn body fat selectively, keep insulin levels lower, and discourage fat gain. The net result of burning the fatty acids contained in the fat for fuel produces ketone bodies, which can be measured in your urine. 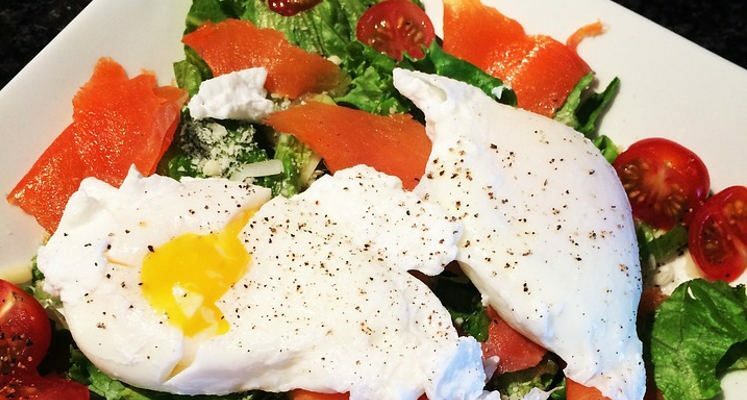 Can the Ketogenic Diet Make You Lose Weight? There has been a great deal of research regarding the ketogenic diet and weight management. The results have been generally very favorable. Researchers have found that people who follow a typical ketogenic diet do lose weight and keep it off successfully. Low carbohydrate intake is associated with low levels of insulin secretion, which translates to better control of blood glucose. The ketogenic diet has been shown to be a very safe and effective way to control obesity and manage this condition in a way that also offsets the risk of developing chronic diseases. So far, researchers have found a lot of benefits of the ketogenic diet. For example, the ketogenic diet has been previously shown to control blood sugar levels, insulin resistance, and fatty liver associated with diabetic patients. In addition, research assessing obese people with diabetes managed with two different diets—one ketogenic and the other a low calorie diet—indicated that the ketogenic diet is much better at controlling blood sugar, even if the diets contained the same number of calories! The difference is the lower levels of carbohydrate associated with the ketogenic diet, which lead to lower amounts of insulin secretion needed to control the small carbohydrate load. Lower insulin levels cause less fat storage and more fat loss, which makes it easier to lose weight. The ketogenic diet has also been studied as a method of controlling epilepsy and some results have shown a great deal of promise in certain patient groups. Not only does the application of the ketogenic diet control seizures, but it can also decrease weight and improve the quality of life in these subjects. The ketogenic diet causes the state of ketosis, which you can measure in your urine. If your urine has ketone bodies in it, I recommend increasing your carbs a bit until this passes. You should also drink more water. Other common side effects of this diet include gastrointestinal upset, constipation, dizziness, and weakness. Most of these symptoms dissipate over time. However, this diet is not for everyone, as it is very hard to stay on and can take several weeks to get used to. If you are obese, have diabetes, need to control your blood sugar, or are epileptic, you may want to try this diet for a few months. There are also variations of this diet (such as the Atkins diet, the South Beach diet, and a modified Mediterranean diet) that are similar and may be easier to follow. Paoli, A., et al., “The ketogenic diet: an underappreciated therapeutic option?” Clin Ter 2011; 162(5): e145-53. Schugar, R.C., et al., “Low-carbohydrate ketogenic diets, glucose homeostasis, and nonalcoholic fatty liver disease,” Curr Opin Clin Nutr Metab Care July 2012; 15(4): 374-80. Hussain, T.A., et al., “Effect of low-calorie versus low-carbohydrate ketogenic diet in type 2 diabetes,” Nutrition October 2012; 28(10): 1,016-21. Lambrechts, D.A., et al., “The ketogenic diet as a treatment option in adults with chronic refractory epilepsy: efficacy and tolerability in clinical practice,” Epilepsy Behav. March 2012; 23(3): 310-4.